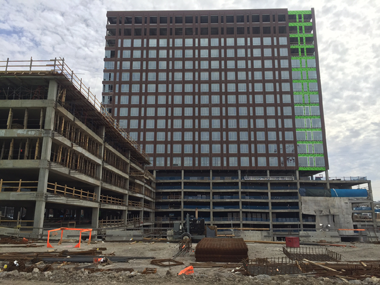 HCA Capitol View is 670,000 sf mixed use development currently under construction for the Hospital Corporation of America. This multi-phased project has required multiple crews and unique engineering solutions, such as for heavy transfer beams cantilevered three stories over open excavation. Harcon has utilized three different specialized high production shoring systems to ensure that the schedule is met and that our customer is satisfied.